U Win Aung is MAEX Chairman. He is also theFoundingChairman of Myanmar Thilawa SEZ Public Holdings Company, which is a holding company with the largest shareholding of the development company that develops and constructs Thilawa Special Economic Zone. He is also the Chairman of the Golden Land East Asia Public Co Ltd., which is also one of the Promoters and is a public company that is engaged in general trading. He brings to our Company many years of experience in business development in Myanmar and Southeast Asia, particularly in the Great Mekong Sub Region (“GMS”). He founded and continues as the Chairman of the Dagon Group of Companies since its establishment in 1990. Since 1993, Dagon Group of Companies has successfully implemented property development projects. Dagon Group of Companies engages in wide range of businesses in residential and commercial development, hotel development, integrated agricultural development, value added food industry, logistics and distribution, automobile distribution, petroleum distribution, and in other business sectors. U Win Aung was elected and served as President of UMFCCI from 2011 to 2016. He is also one of the members of National Economic and Social Advisory Council (NESAC) & UN-ESCAP Advisory Council, Chairman of ASEAN Business Advisory Council (ABAC) from 2013 to 2014 & Chairman of Greater Mekong Sub-region Business Forum (GMS-BF) in the period of 2002 – 2004 and 2012 – 2014. U Sit Lwin is the Vice Chairman of our Company. U Sit Lwin has extensive experience in the gold commodity trading sector. In 1996, he has established a gold jewelry business called Moe Ma Kha Gold & Jewelry which is a market leader specializing in manufacturing and wholesaling of gold jewelry. With over 20 years of expertise in gold and diamond jewelry and managing nationwide distribution network for wholesale of gold and diamond jewelry. He also serves as an influential committee member of Yangon Gold Association where his technical knowledge in the field helps steer the association towards better future policies relating to the industry. He is also the founder of Willow Myanmar Investment Co., Ltd which has strategic holdings in various businesses that range from hotel and tourism, commodity trading as well asinfrastructure businesses such as Myanmar Thilawa SEZ holdings. In 1982, he graduated with a Bachelor of Economics Degree from the Yangon Institute of Economics. U AungZawOo is the Vice Chairman. He is currently holding position as Chairman of AungNaingThitsar Group of Companies; the company is exposed to several business units which include the logistic business of Golden Land Express Limited, oil refinery and gold mining, car showroom and entertainment. He is also the Director of Golden Land East Asia Development Ltd, graduated bachelor degree with Mathematic subject and served as a Joint Secretary of Union of Myanmar Federation of Chamber of Commerce and Industry (UMFCCI) until 2016. U Thurane Aung is our MAEX Director. He is currently the Chief Executive Officer of Dagon Group of Companies, which is one of the leading conglomerate in Myanmar with diversified businesses in various sectors include property development and construction, hospitality, timber, agriculture, commodity trading, plantation, retail and distribution, petroleum, automobile and food processing. With Dagon Group he designed the business growth strategies and expansion plan he actively leads and works on a new business venture on Dagon group’s expansion into new industries in Myanmar through the establishment of new business, privatizations and acquisitions. He also contribute much of his time for the development of the different business sectors he is in by joining the Executive Member of Myanmar Young Entrepreneur Association (MYEA). He is also Project Director of the Myanmar Thilawa SEZ Holdings company and Vice President of the Myanmar Japan Development Company Limited and Director of Myanmar Agro Exchange Public Limited. He holds a Bachelor of Arts (BA) in Business Information Management in Finance, which he obtained from University of Westminster in the UK in 2004. U Phone PhoneNaing is MAEX Director. He is currently the Managing Director for the Distribution arm of the Dagon Group of Companies, after years in the trading business he brought the experience of the development and refinement of the needs and taste of local consumers. Through the Global Sky Company he has engaged to expand the business portfolio into Personal Hygiene Products (from Japan/Thailand), Personal Care Products (from Philippines), Fruit &Vegetable drink (from Thailand), Food & Beverage Products (from Philippines/US) and Foodstuffs that is locally grown and manufactured. He gained his BA in economics from Knox College, Galesburg, Illinois, United States. DawKhineThazinSoe is MAEX Director. She is currently the Managing Director of AungNaingThitsar Group of Companies. Graduated Bachelor degree in Mathematics. U Ye Htut Win is MAEX Director. He is currently the Director for Dagon Machinery and Equipment Department. He graduated a Bachelor degree in Physics from Yangon University. Joined with Dagon International Limited in 1992, prior to joining Dagon Group he was the Army Captain and already retired. U KyawZawAung is MAEX Director. He is currently the Director in Dagon Group of Companies, joined Dagon Group in 1996. He also sits on the board of 2 public companies, Myanmar Agribusiness Public Corporation (MAPCO) and United Group of Trading as a representative of Dagon International Ltd. He is also an active member in NGOs such as an Executive Committee Member of The Republic of the Union of Myanmar Federation of Chambers of Commerce and Industry (UMFCCI) until 2016 and Myanmar Rice Federation (MRF). He graduated Bachelor Science in Industrial Chemistry (Hons) at Yangon University. Further, he attended the rice milling technology training in Japan under the Stake Engineering Limited. U AungGyi is also the CEO/Managing Director of MAEX. He is currently the Director in Dagon Group of Companies in charge of Dagon’s fuel distribution business, joined in 1992, he has been in nationwide logistic while serving in various position under the Timber Department in Dagon Group. Prior to joining Dagon Group he worked at the Office of Auditor General for almost 7 years. 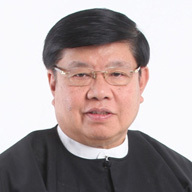 He gained Bachelor Degree for Commerce from Yangon Institute of Economics in 1984.